An exceptional surgeon that truly cares about his patients. A great special going on right now for cool sculpting. Check out his website! I am very happy I chose Dr Kole for my TT and BA. I have had a great experience so far and am so happy I found a plastic surgeon I feel comfortable with to use in the future. He is very caring and strives for perfection to give you the best possible experience and look. I will definitely recommend Dr Kole to anyone I know in search of a plastic surgeon! Thank you Dr Kole! Dr Kole is a badass!!! He Excelled beyond my expectation. My body looks amazing, the best I have ever looked. The experience was phenomenal, very pleasant. Everything moved and happened so fast didn't have the chance to be nervous or scared I knew and felt that I was in good hands the very 1st appointment. He is compassionate, relatable and very honest. His whole team especially Bonnie was wonderful, a huge help from beginning to the very end. I was never left guessing or wondering, my questions and concerns was address. He and his staff was available around the clock even after hours. I got mommy make over, breast lift with a full tummy tuck. The best part is the pain very little besides the back ache, everything was very tolerable. Wow.... after months of visting with doctors and feeling nervous everytime I left these offices about a decision, I finally feel at peace!! My visit with Dr.Kole was amazing!!! He explained everything in detail. Took his time to answer questions. Didn't rush me out the office. Every other doctor I've seen I felt empty, lost, scared and confused!! Today I feel full!! lol I'm blown away with this visit!!!! I can't wait to have my mommy makeover!!! Thank God I feel at peace now that I found him and finally get what I've always wanted...My body back!! Thank you, Dr.Kole!!! I can't even express how happy I feel about finally finding the person who would change my life. I have some peace of mind now.. I look sooooo forward to the future now!!! !� See ya soon!!!! "Sukie"
Dr. Kole did a fabulous job on my surgery. He made me feel as comfortable as possible and his great bedside manner was very calming right before and after surgery. After I went home, Dr. Kole called at least twice a day to check on how I was feeling. I don't know many doctors that care about their patients the way Dr. Kole does. 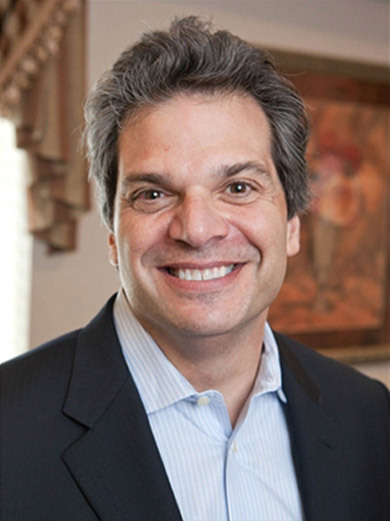 I would highly recommend him to anyone who is considering any type of plastic surgery. By the way, my results were amazing and I could not be happier! Thank you Dr. Kole!!! Dr. Kole is simply the best and very affordable! I highly recommend him and his team. Doctor Kole is not only a great and talented surgeon, but a great person as well. I am very happy with my experience with him. I recently had a rhinoplasty procedure done and I am ecstatic with my result. I look like me, but better. I would recommend Dr.Kole to anyone who wants natural looking and amazing results. Such an amazing experience I had here. I had a nose job done and it turned out even more perfect than I ever could have imagined. It looks so natural no one could even tell I had plastic surgery done. This is such a clean place with friendly staff and Dr. Kole is so wonderful, he listens and really cares about making what you want done perfect. He is so patient and walks you through every step of the process making sure you feel comfortable and I never felt rushed or pressured with anything here. If I ever decide I want anything else done I will come straight to Kole Plastic Surgery Center. The prices are also very reasonable! Great doctor! Very caring with exceptional patient care! Dr. Kole and his staff are AMAZING. I had my breast augmentation done by Dr. Kole on January 8th 2019. Not only did the surgery go so well and the healing process was so fast, but Dr. Kole definitely boosted my self confidence about my appearance. I felt so comfortable with him. He explained everything to me. Definitely felt like home my whole journey with him. My breasts are proportional with my body, they’re soft, they look and feel NATURAL. I am 2 months post op and my results couldn’t be anymore perfect!! 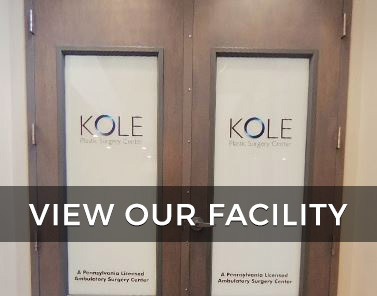 Dr.Kole,and his staff,offer an exceptional service and experience. I decided to have a consultation with Dr. Kole based off of his fantastic reviews. The consultation with Dr. Kole completely sold me on my procedure, he is very straight forward with a great sense of humor. I felt comfortable and confident to use him as my surgeon for my augmentation.I am now 6 months post- op and I am thrilled with the results and the way I look and feel in my clothing. I also need to say that his staff makes you feel comfortable and are always going above and beyond to help you. I had a great experience and I highly recommend him . Dr. Kole and his staff are awesome! Dr. Kole did a good job on my surgery. I would definitely recommend him to everyone. I went to Dr. Kole for the first time 9 years ago after going to another well known Dr., who made me feel very uncomfortable, for a consultation to receive breast implants. The first time I met him and his staff I felt like family. His kind, honest and friendly matter made me feel at ease. He explained my options and gave me his honest opinion. He understood the reason I was there and knew I wanted to look natural. He helped me make the best decision for me. I have recommended him to family and friends. He is the BEST! I only write reviews or refer my friends to someone when they are exceptional -- Dr. Kole is beyond exceptional. He is honest, professional and ethical. I have referred several people to Dr. Kole and I wouldn't even think about going to any other surgeon -- and neither should you!